In December, NASA selected Boeing, Sierra Nevada, and SpaceX for Commercial Crew Program phase I certification contracts. Under these, also known as “Certification Products Contracts (CPCs), the Commercial Crew partners will provide NASA with their proposed alternate standards, preliminary hazard analyses work, and plans for verification, validation, and certification. NASA experts then will assess these deliverables, relative to proven agency requirements and standards for human spaceflight, and provide feedback to the partners regarding the acceptability of their approaches toward ultimately achieving NASA certification to transport astronauts to and from the International Space Station. NASA’s responses will represent binding decisions that will carry forward into the next phase of certifiction, and therefore must be carefully analyzed and considered. Kickoff meetings have now been held with all three contractors and the work on NASA certifcation for ISS crew rotation services is underway. 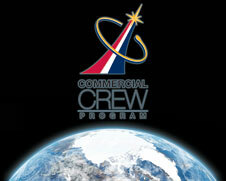 Through CPC, NASA receives and assesses commercial partners’ plans to meet NASA requirements. To maintain the partners’ fast-paced momentum to develop crew transportation systems that will once again enable sending people to space from U.S. soil, NASA has committed to providing responses to every CPC deliverable within 90 days of receipt. NASA anticipates dozens of products will be delivered from each partner. Some will involve complex topics, including innovative ways of ensuring safety through design and testing that differ from NASA’s traditional experiences. products required for NASA certification has been added to the leadership of each partner integration team. Furthermore, the Commercial Crew Program has established a product flow management group which is responsible for coordinating the workload across all the partner teams, and in particular expediting the internal NASA reviews culminating with the formal Program-level decision boards. NASA is open to alternative approaches to its requirements, and believes that there is more than one way to fly safely. CPC is the mechanism that now allows NASA to formally tell its partners which innovative methods will be acceptable when it comes time to fly NASA astronauts to the Space Station on the commercial systems. Developing clear and timely decisions for the commercial partners is being given the highest priority in the months to come.